Four Finovate alumni were featured in the latest publication from Online Banking Report (OBR). The report is an in-depth look at the emerging trends in crowdfunding and features a look at 18 up-and-coming platforms. OBR Subscribers can access the report here. It can also be purchased for US$495 here. INTJ Capital compares and contrasts Quantopian and QuantConnect. Join Quantopian in San Francisco for FinovateSpring. MicroStrategy launches mobile app Usher, e-wallet for digital I.Ds, keys. See them demo at FinovateSpring in May. Monitise Group Strategy Director Richard Johnson talks about trends in mobile money. BancVue chooses MicroStrategy platform for business analytics. CPA Practice Advisor takes a look at the new, updated iPad app from Kashoo. This is Money blog looks at Zopa’s growth. Yodlee awarded 50th patent for financial gadgets. SoMoLend travels nationwide to teach small businesses & investors about crowdfunding. Austin Business Journal considers BancVue’s inverted sales pitch. Newfination hosts SoMoLend CEO, Candace Klein, who explains how the platform’s crowdfunding capability. Intelligent HQ interviews The Currency Cloud’s CEO, Michael Laven. Pando Daily profiles crowdfunding pioneers like SeedInvest and SoMoLend. 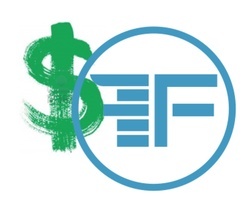 Join SeedInvest in May for FinovateSpring. The Next Web interviews TipRanks‘s CEO and co-founder Uri Gruenbaun. Chevron teams up with WattzOn to launch The Capacity Project for sustainable growth. Refundo launches free iPhone app. Check out Refundo’s live demo at FinovateSpring. TransferWise featured in HuffPost Students United Kingdom. EZBOB investor John Garfield profiled in The Telegraph. Money.co.uk compares money transfers through Azimo. Fiserv partners with Romania-based Eutron Invest to provide Cash and Logistics solution portfolio to the Romanian market. Forbes looks at the “best of the best” debt crowdfunders including Lending Club, Prosper, Zopa, SoMoLend, Rebirth Financial. SecureKey announced availability of its cloud-based briidge.net identity and authentication platform. ID Analytics introduces fraud detection solutions for online retailers. The Globe and Mail lists Expensify as 1 of 5 apps that take the bumps out of business travel. Petter Made, co-founder and COO of SumUp, talks about the advantages of Dublin as a base for business. Credit Union Times reports: Fiserv launches SpotPay. Finextra reports G&D and PayPal team on pre-paid mobile top-ups in Brazil. Practical eCommerce takes a look at Klarna Invoice for OSC programs. CSI’s globalVCard wins top entrepreneurial prize at 2013 Innovation Project. Newfination interviews CurrencyFair’s Brett Meyers. Prosper announces new API for lenders. American Banker reports: Union Bank signs up for Fiserv’s Bill Pay. Bolstr featured on MSNBC’s Your Business. Backbase gives a glimpse of the Digital Marketing Module it showed at FinovateEurope. Triple Pundit looks at how the SEC is holding SoMoLend and other debt/equity crowdfunding platforms hostage. USA Today considers Lending Club’s success. CIO lists Expensify as 1 of 3 apps to help at tax time. BellaDati releases updates to its platform. Credit Karma launches app for Android. Med Gadget interviews Diversinet CEO, Dr. Hon Pak. Finextra reports Geezeo signs 1st United Services Credit Union. CashStar announces availability of tablet gifting. Android, iOS updates now provide card-to-card payments with Pageonce. Dough Roller blog names PocketSmith one of the best calendar-based personal finance apps. Continuity Control to partner with cbanc Network to provide regulatory briefing via RegAdvisor. Koolspan and DeviceFidelity team up to build TrustSleeve, bringing microSD-based voice encryption to the iPhone. Locaid and Life360 join forces to help parents stay in touch with their kids. The Financial Brand highlights 50 of the most spectacular website designs in banking: Simple (formerly BankSimple), Standard Chartered, Mint, & Moven. See Netbanker’s take on the list here. Debt-based crowdfunding platform SoMoLend announced today that it has completed its Seed round of funding, totaling over $2 million. The Cincinnati-based startup plans to use the funding to expand marketing, develop fundraising tools, and enhance the platform by adding social networking features. To learn more about SoMoLend, watch its FinovateSpring 2012 demo.